Expensive pleasure. More performance, a new Force Touch TrackPad as well as longer battery runtimes are supposed to make the reworked MacBook Pro 15 even more appealing – and therefore justify a retail price far in excess of the 2000 Euros (~$2252) mark. Is this enough to compete with the improved rivals? Также стоит помнить, что новая версия MBP15 от версии полугодичной давности отличается только используемой дискретной графикой и трекпадом Force Touch. Ну и ценой, разумеется. Так как iFixit еще не успел раскурочить новый MacBook, обойдемся фото версии 2013 года. В общих чертах внутри ничего не изменилось. К тому же на фото – базовая модификация без дискретного GPU. Да, он красивый, тонкий и легкий. Его очень удобно носить с собой (даже если постоянно брать зарядное устройство). Клавиатура прекрасно подходит для набора больших текстов, а трекпад вполне позволяет обойтись без мышки. Однако скромная производительность и необходимость (в ближайшие 2-3 года) покупки и использования фирменных переходников делают MacBook менее привлекательным. Цена для американского рынка вполне соответствует ноутбуку, она лишь чуть-чуть превышает стоимость MacBook Air 11 схожей конфигурации, однако в России с ценой, как всегда, перебор. Сейчас это ощущается особенно остро. 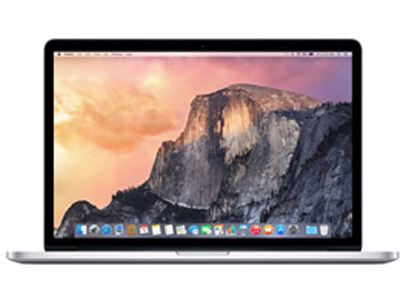 Just like its predecessor, the latest 15-inch MacBook Pro is far from affordable. Its pricing kicks off at $2,399 for a model with Intel Core i7 and 256GB SSD, and goes past the $4,000 mark for a fully loaded variant. Although the MacBook Pro Touch Bar is an incredible innovation that could definitely increase a laptop quality to a whole new level, there are still many details that needed to be fixed in order to make this happen and start another tech revolution. For now, Apple just needs a decent response from customers so it could have time to solve every single flaw, because unless you are a video or audio editor, this feature might be just a futuristic luxury instead of a groundbreaking invention. The 15-inch MacBook Pro is clearly more powerful than the 13-inch MacBook Pro. If you are a creative professional that relies heavily on apps that can take advantage of GPU acceleration or the processing power of a quad-core processor, then the 15-inch MacBook Pro makes perfect sense. For everyone else, the 13-inch MacBook Pro offers plenty of grunt, and there’s little point in splashing the cash. The new 15" MacBook Pro is exceptional. It has enough processing power to stay well ahead of the competition, and it boasts first-class manufacturing, picture quality and battery life. It's a good machine for anyone with tall expectations—and a tall budget. The 15-inch MacBook Pro is a powerful, but still portable, laptop that feels more at home on a desk (perhaps tethered to external hard drives and docking stations) than in your travel bag. But it's also slim and light enough to make an occasional trip without being a burden, which is why Apple feels free to charge such a premium for it above both other high-end 15-inch laptops and the rest of the MacBook line. The 2015 15-inch MacBook Pro with Retina Display ($1,999 starting, $2,499 as reviewed) maintains the gorgeous screen and slim design of its predecessors, while gaining some handy new upgrades. The notebook's optional new AMD Radeon R9 M370X GPU and improved flash storage offer fantastic performance, and its added Force Touch trackpad allows for a host of useful new click functions. It’s hard to go past the excellence on offer from the MacBook Pro, and just like we’ve seen from previous metal-bodied masterpieces, this is Apple building a machine to its utmost perfection. Really, that’s what is being provided here: pint-sized computer perfection, with a perfect metal body, a perfect balance of hardware, a perfect keyboard and mouse, and a perfect and brilliant screen. With so little changing in this year’s model, the 15-inch MacBook Pro With Retina Display is starting to look a little dated and overpriced. That might be partly due to Intel’s tardy delivery of next-gen Broadwell chips, but last year’s MacBook Pro updates managed to provide a small speedbump along with a £100 price cut to sweeten the pill. For many tasks there will be little difference in performance if you have to choose between the two versions of MacBook Pro (Retina, 15-inch, Mid-2014). Both have the same 16 GB memory complement now, and while processor benchmark tests favoured the faster clocked model, the differences are only a few percent in point scores. A welcome surprise is just how good the Iris Pro graphics chipset can prove to be when playing action games, with this integrated version even playing slightly faster in some titles. AMD Radeon R9 M370X: R9 M370X - мобильная видеокарта с поддержкой DirectX 12, представленная в середине 2015 года. Эти видеоадаптеры справляются с большинством современных игр и демонстрируют в них более или менее комфортную частоту смены кадров. Однако особенно требовательные детища игровой индустрии придется на них запускать со средней или низкой детализацией. Плюсом таких видеокарт является то, что их можно использовать в не очень больших ноутбуках с приличным временем автономной работы.